Top Shelf Productions, 9781603090964, 582pp. 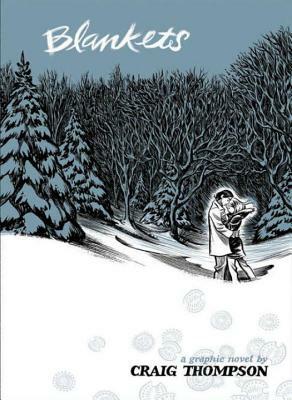 A brand-new, hardcover edition, re-sized and with a new cover Wrapped in the landscape of a blustery Wisconsin winter, Blankets explores the sibling rivalry of two brothers growing up in the isolated country, and the budding romance of two coming-of-age lovers. A tale of security and discovery, of playfulness and tragedy, of a fall from grace and the origins of faith. A profound and utterly beautiful work from Craig Thompson. At 592 pages, Blankets may well be the single largest graphic novel ever published without being serialized first.